Woodhall is a wonderful property benefitting an elevated position near the village of Cardinham, Cornwall. This reverse-level accommodation boasts four bedrooms; two ground floor king-size doubles with en-suite shower, a ground floor king-size double with en-suite bathroom and a ground floor king-size double (zip/link can be twins on request), sleeping eight guests. There is also a bathroom and a first floor open-plan living room with kitchen, sitting area and dining area. To the exterior is ample off-road parking, as well as bike/surf board storage and a large garden with hot tub and furniture. 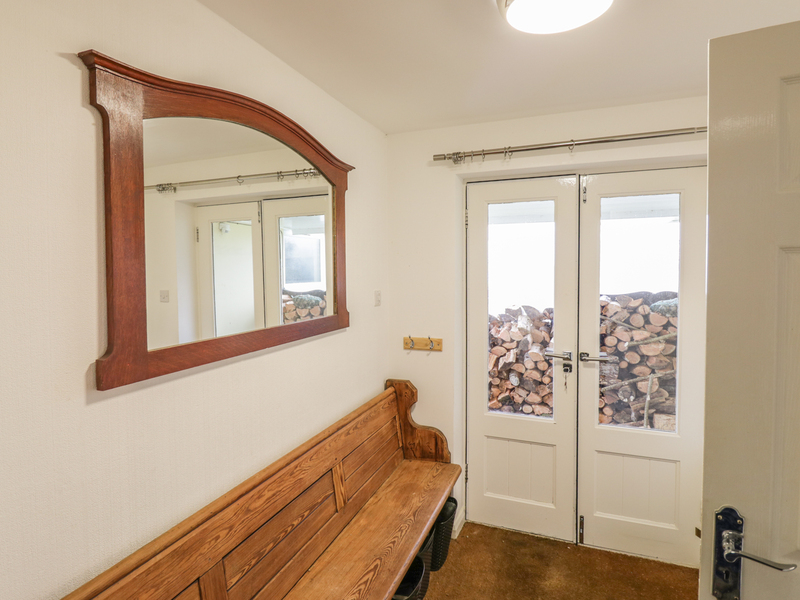 Woodhall is a delightful base to choose with your family and friends. Oil central heating with woodburning stove. Electric oven and hob, fridge/freezer, dishwasher, washing machine, tumble dryer, TV with Freeview, DVD, Nintendo Wii, selection of books, games and DVDs. Fuel, power and starter pack inc. in rent. Bed linen and towels inc. in rent. Travel cot (no bedding provided), highchair and stairgate available on request. Ample off-road parking. Bike/surf board storage. Large garden with jacuzzi hot tub and garden furniture. Two well-behaved dogs welcome. Sorry, no smoking. Shop and pub 3.5 miles.